If you find yourself in need of a lawyer in Memphis, the Law Office of Stephen A. Sauer is a smart choice. At our office, we will give your case the focused attention that it deserves, whether you were involved in an auto accident, truck and trailer accident, motorcycle accident, or you’ve suffered a personal injury. We fight hard for your rights. Why choose Stephen A. Sauer as your Memphis lawyer? At the Law Office of Stephen A. Sauer, we believe that every client and every case is important, no matter how big or small. 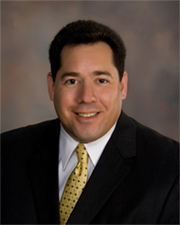 When it comes to defense, attorney Stephen A. Sauer brings with him extensive experience. This overall understanding of the justice system helps our clients have an edge when it comes to planning and implementing strong defense cases. and we’ll fight aggressively for your rights every step of the way. If you need Memphis lawyer help because you were involved in an auto accident and you're not receiving fair compensation, we can help. We will examine every detail of your case, exploring all avenues through such things as interviewing witnesses, gathering medical documents if necessary, and calculating your financial losses. We’ll make sure that all the evidence is present to get you the compensation that you deserve. And if we can’t get compensation for you, you don’t pay us anything! A Memphis lawyer for over 20 years, we have handled thousands of auto accident, criminal and personal injury cases, with an impressive rate of positive results for our clients. When you need a lawyer in Memphis, you’ll get the representation you need at the Law Office of Stephen A. Sauer. Our goal is to provide each and every one of our clients the highest degree of customer service. You can have confidence in our experience, professionalism, and commitment to getting you the best possible results for your case. Call us today to schedule an appointment for a free initial consultation. Feel free to Call us at 901-529-8500. We do not claim certification in any specific area of legal practice. The information on this website is for general information purposes only. Nothing on this or associated pages, documents, comments, answers, emails, or other communications should be taken as legal advice for any individual case or situation. This information on this website is not intended to create, and receipt or viewing of this information does not constitute, an attorney-client relationship.